Former judge Kailash Gambhir flags Supreme Court collegium’s elevation of judges Khanna and Maheshwari, wants President Ram Nath Kovind to intervene. New Delhi: Questions of seniority continue to swirl around recent recommendations of the Supreme Court Collegium, headed by Chief Justice of India Ranjan Gogoi, with former Delhi High Court judge Kailash Gambhir now seeking the President’s intervention to preserve the “credibility and independence of the judiciary”. Justice (retd) Gambhir has flagged the collegium’s 10 January recommendations, which call for the elevation of Karnataka High Court Chief Justice Dinesh Maheshwari and Delhi High Court Judge Sanjiv Khanna. In recommending Justice Khanna, the five-judge SC collegium had superseded three judges senior to him at the Delhi High Court, which is his parent court. They are Rajasthan High Court Chief Justice Pradeep Nandrajog, J&K High Court Chief Justice Gita Mittal and Delhi High Court Judge Ravindra Bhat. As for Chief Justice Maheshwari, the collegium had superseded him in October last year when it recommended the elevation of then Chief Justice of Tripura High Court Justice Ajay Rastogi, originally from the Rajasthan High Court, to the Supreme Court. Seniority had become a big issue last year when the Narendra Modi government sat on the collegium’s recommendation to elevate Uttarakhand High Court Chief Justice K.M. Joseph. At that time, the government had said Justice Joseph’s elevation would result in the supersession of other judges. In a strongly-worded letter to President Ram Nath Kovind, Justice Gambhir has urged him to prevent “another historical blunder” from being committed. “It cannot be forgotten, that it is just one and a half month back the then collegium members of Supreme Court had superseded Hon’ble Justice Dinesh Maheshwari and now out of the blue, he becomes more deserving and suitable within such a short gap (sic),” says Justice Gambhir’s letter. “It will be another black day when there will be supersession of 32 judges who are senior to Justice Sanjeev Khanna and many of them may be no less meritorious and men of integrity than him,” the letter adds. Justice Gambhir’s letter also refers to the 12 January 2018, press conference by the four senior-most Supreme Court judges, including current CJI Gogoi. To buttress his point, Justice Gambhir has referred to the controversial supersession of Justice H.R. Khanna, who authored the dissenting judgment in the Emergency era Habeas Corpus case, against the Indira Gandhi government. Justice Sanjiv Khanna is the nephew of late Justice H.R. Khanna. “The talk in the legal corridors is that the elevation of Justice Khanna is with a view to paying respect to the legacy left by his great uncle and is a tribute to his great ideals, principles, judicial philosophy and most of all, to the courageous stand taken by him in the Habeas Corpus case,” the letter states. Questions are also being raised about the 10 January recommendations as there is lack of clarity on the fate of an earlier decision by the SC collegium to recommend two other names for the Supreme Court. 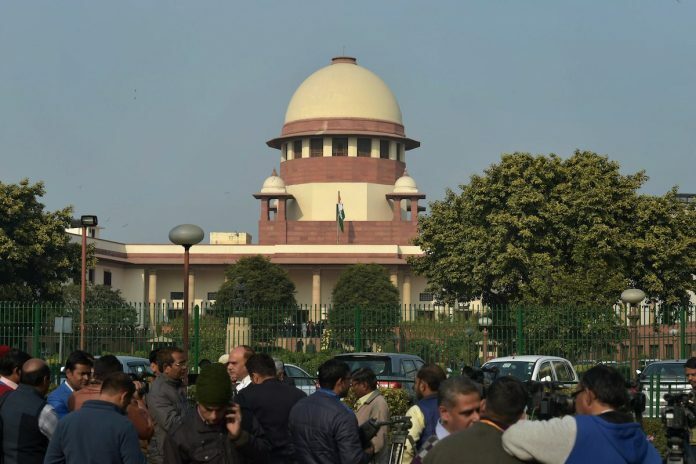 Sources told ThePrint that the collegium had met on 12 December and cleared the names of current Delhi High Court Chief Justice Rajendra Menon, who is originally from Madhya Pradesh High Court, and Rajasthan High Court Chief Justice Pradeep Nandrajog, who is the senior-most judge from the Delhi High Court. Since then, however, the collegium appears to have rescinded the decision and, instead, made the new recommendations on 10 January. Questions are also being raised as Justices Nandrajog and Menon are senior to Maheshwari and Khanna. While Chief Justice Maheshwari is number 21 on all-India seniority of high court judges, Justice Khanna is at serial number 33. Chief Justices Menon and Nandrajog stand at serial numbers 3 and 4 in the all-India seniority. The 10 January decision was also taken days after the retirement of Supreme Court judge Madan Lokur, originally from Delhi High Court and the senior-most judge of the Supreme Court after CJI Gogoi. Justice Arun Mishra has taken Justice Lokur’s place as the fifth member of the SC collegium. Justice Lokur has refused to comment on the matter. “It is a matter of great speculation as to what new material came up so as to get the new collegium to rescind the earlier decision to recommend the names of chief justices Menon and Nandrajog and instead recommend Chief Justice Maheshwari and Justice Khanna,” said a former chief justice of India. In what could well be a hint to the answer, however, the decision of the collegium meeting of 10 January made public by the Supreme Court on its website carries a paragraph about it. “The then Collegium on 12th December 2018 took certain decisions. However, the required consultation could not be undertaken and completed as the winter vacation of the Court intervened,” it reads. While it doesn’t extend any reasons why, in a matter of less than a month, Chief Justices Menon and Nandrajog were no longer suitable for elevation to the Supreme Court despite their seniority, it talks about its decision to recommend Chief Justice Maheshwari and Justice Khanna in the following words. Also read: Justice Sikri’s govt offer: Needless row or shows judges must avoid post-retirement jobs? With all due respect, Justice H R Khanna’s legacy – his portrait hangs in Court no 1, which he ought to have presided over – cannot be a relevant factor in elevating his relative to the apex court.